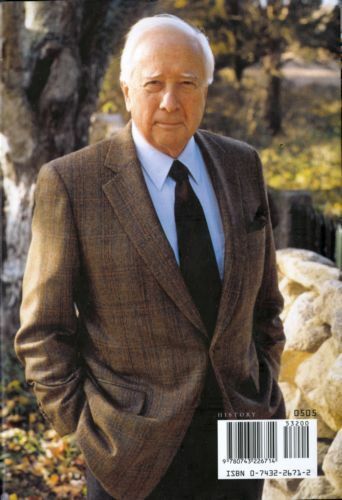 In this stirring book, David McCullough tells the intensely human story of those who marched with General George Washington in the year of the Declaration of Independence -- when the whole American cause was riding on their success, without which all hope for independence would have been dashed and the noble ideals of the Declaration would have amounted to little more than words on paper.Based on extensive research in both American and British archives, 1776 is a powerful drama written with extraordinary narrative vitality. It is the story of Americans in the ranks, men of every shape, size, and color, farmers, schoolteachers, shoemakers, no-accounts, and mere boys turned soldiers. And it is the story of the King's men, the British commander, William Howe, and his highly disciplined redcoats who looked on their rebel foes with contempt and fought with a valor too little known.Here also is the Revolution as experienced by American Loyalists, Hessian mercenaries, politicians, preachers, traitors, spies, men and women of all kinds caught in the paths of war.At the center of the drama, with Washington, are two young American patriots, who, at first, knew no more of war than what they had read in books -- Nathanael Greene, a Quaker who was made a general at thirty-three, and Henry Knox, a twenty-five-year-old bookseller who had the preposterous idea of hauling the guns of Fort Ticonderoga overland to Boston in the dead of winter.But it is the American commander-in-chief who stands foremost -- Washington, who had never before led an army in battle.The book begins in London on October 26, 1775, when His Majesty King George III went before Parliament to declare America in rebellion and to affirm his resolve to crush it. From there the story moves to the Siege of Boston and its astonishing outcome, then to New York, where British ships and British troops appear in numbers never imagined and the newly proclaimed Continental Army confronts the enemy for the first time. David McCullough's vivid rendering of the Battle of Brooklyn and the daring American escape that followed is a part of the book few readers will ever forget.As the crucial weeks pass, defeat follows defeat, and in the long retreat across New Jersey, all hope seems gone, until Washington launches the "brilliant stroke" that will change history.The darkest hours of that tumultuous year were as dark as any Americans have known. 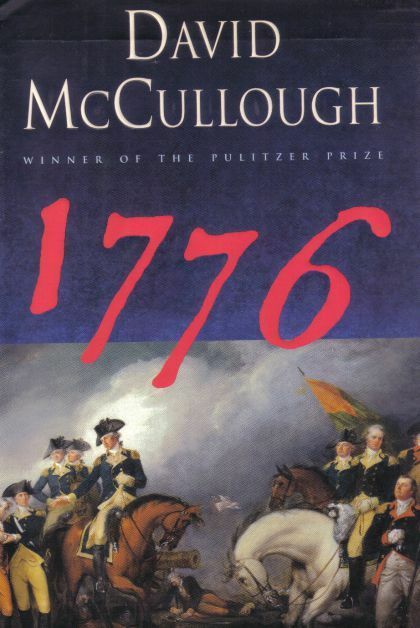 Especially in our own tumultuous time, 1776 is powerful testimony to how much is owed to a rare few in that brave founding epoch, and what a miracle it was that things turned out as they did.Written as a companion work to his celebrated biography of John Adams, David McCullough's 1776 is another landmark in the literature of American history.